If you are looking for something fun to get your kids away from their video games, why not create a real life version of angry birds to lure them away from their iPods. And if you are throwing an Angry Birds themed party, this is the perfect party game. 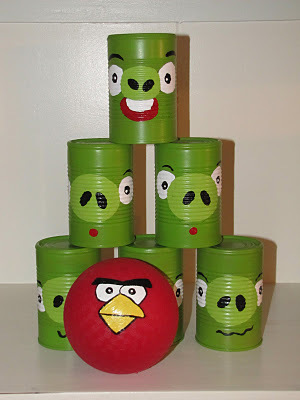 Create your own Angry Bird bowling game using the tutorial from Homemade Beauties by Heidi.